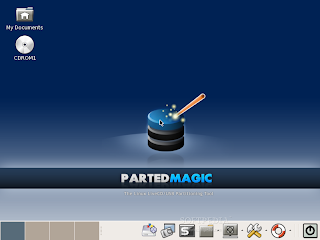 Patrick Verner announced a few days ago the third maintenance release of Parted Magic 3, a Slackware-based Linux distribution designed to help users with partitioning tasks. Parted Magic 3.3 contains a few new applications, brings improved support for video drivers, adds NFS support, and updates various packages. On top of that, the USB edition of Parted Magic 3.3 was drastically cleaned up (see the following quote for details). "Files in the USB version have moved. GRUB files are in the /boot/grub folder and syslinux files are in the /boot/syslinux folder. The proper command to boot the USB is 'syslinux -d /boot/syslinux /dev sdXX' for Linux and 'syslinux -ma -d /boot/syslinux X:\' for windows." - said Patrick Verner in the official release announcement. · NFS daemons will automatically start at boot. To cancel them use the nonfs boot parameter. Parted Magic is a business-card operating system, based on Slackware Linux, with programs that allow you to partition hard disks with ease. Programs like Partition Image, TestDisk, fdisk, sfdisk, dd, ddrescue, and a good documentation will help you in your partitioning tasks. Parted Magic is licensed under the GNU General Public License (GPL) and it can be downloaded right now from here and here.